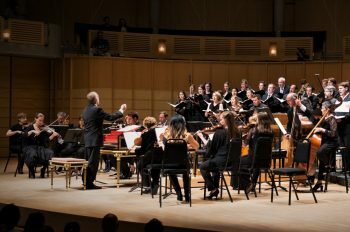 Handel’s monumental Coronation Anthems, composed in 1727 for the coronation of King George II and Queen Caroline of England, bring an exciting, regal note to end the Pacific Baroque Orchestra’s season with a performance at the Chan Centre. The programme will be complemented by Handel’s festive Ode for the Birthday of Queen Anne (upon which she granted Handel a “pension” of two hundred pounds a year for life). Guillaume de Machaut’s narrative poem Remede de Fortune tells the tale of a woebegone lover who is counseled by Lady Hope on how to be happy and persevere in the face of the ups and downs dished out by Fortune and her wheel. Boston –based Blue Heron present a pocket version of the Remede, including narration, projected images from manuscripts curated by Machaut, all of the music included in the poem, and more! This concert features one of the greatest masterworks of 17th-century music, Dieterich Buxtehude’s Membra Jesu Nostri, an intense and expressive cycle of cantatas on the wounds of Christ. 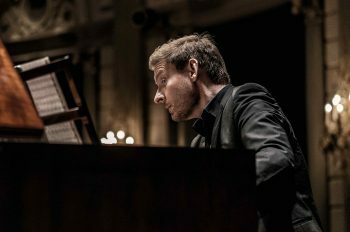 The programme will also explore selected masterworks of 17th-century Germany for choir, soloists, and instruments. The Keio University Ensemble from Tokyo, directed by Nozomi Sato, joins local soloists, members of EMV and UBC’s Baroque Mentorship Orchestra, and Cappella Borealis for a rich and varied programme from the German Baroque. Admission by donation. Acclaimed for their life-affirming virtuosity and irresistible charm, The King’s Singers are in global demand. 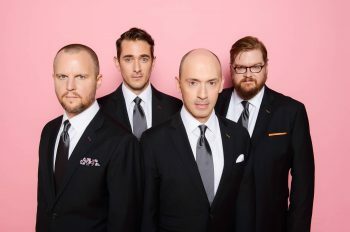 Their work – synonymous with the best in vocal ensemble performance – appeals to a vast international audience.